Thanks to President Trump, the military is finally fighting something other than culture wars. And according to a new survey from the Smithsonian magazine, the American people aren't the only ones who are grateful. So, it turns out, are his troops. The far-Left was so busy cheerleading Barack Obama's wave of social experimentation that they never stopped to ask how those policies were received by the people they affected most. Now, two years into the Trump era of putting warfighting first, new polls are showing just how relieved the rank and file are. Thanks to the Military Times, we already knew that President Trump's approval rating among active-duty troops is triple that of President Obama's. But now we know why. "Troops surveyed continue to give high marks to the president for his handling of military issues specifically," that survey pointed out. "More than 60 percent said they believe the military is in better shape now than it was under President Barack Obama, and nearly the same number have a favorable view of his handling of the military." Part of that "handling" was rescuing our troops from the radical grip of the Obama years. When President Trump announced that he was slamming the breaks on his predecessors open transgender policy, the men and women in uniform cheered. Of the 1,031 current and former service members the Smithsonian asked, 61 percent sided with Trump in rejecting Obama's social engineering. Another benefit of this commander-in-chief is the major swing in attitude. Back in 2014, at the height of Obama's LGBT agenda for the military, morale had plunged to a 30-year low. 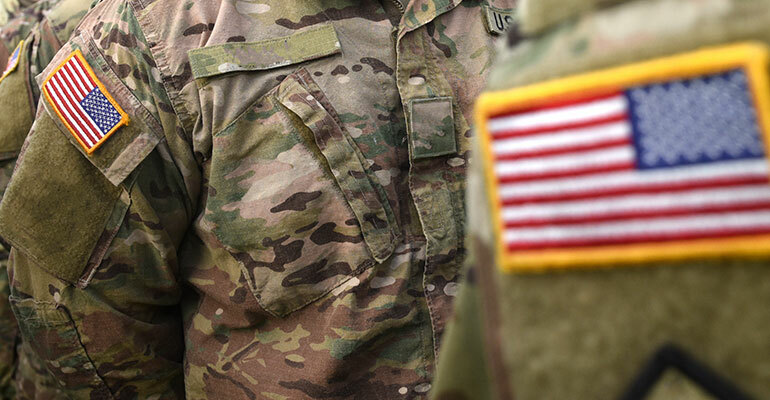 Only 73 percent of active-duty members said tyen they would recommend the military to others, and even fewer -- 63 percent -- said they would reenlist. Now, when asked if they'd join again, 90 percent of the troops say yes, and 87 percent would want their sons or daughters to follow suit. Of course, that's not to say that President Obama's policies didn't take a toll. The Army, in particular, is having a tougher time than ever hitting their recruitment goals. To offset the drop, the military has started looking for enlistees in more liberal cities -- and having little success. "Within big blue metropolitan areas of the Northeast, Midwest, and West Coast," Fox points out, "young Americans are less likely to have military family, friends, and mentors -- and therefore don't enlist." Usually, Brigadier Gen. Kevin Vereen explains, the south -- from Virginia to Texas -- makes up two to three times more recruitments than other regions. Now, with more veterans and active-duty troops enthusiastic about the direction this president is taking the military, maybe that will change. In the meantime, the service members who are in uniform are proud to get back to the business of defending our nation. "I want a very, very strong military," Donald Trump said. And, to the relief of our troops, he's proving it.